So, I totally forgot to do an end of month review for December (it happens, what with all the craziness of the holidays and all the necessary year-in-review/goal-setting posts at the beginning of the year), but I don't want to not document those books, so I decided to do a double month post for December and January. But I read 17 books in the past two months (yay for holiday reading time!) which is a heck of a lot of books to get through, so I'm kind of intimidated. But the only way on is through, so let's just plunge in, shall we? How I love Dickens! This one (apparently one of his earliest, maybe even his first?) is much more episodic than his other novels. In fact, I was uncertain for a long time if there was going to be any sort of over-arching plot at all, or if it was just going to be a loose collection of adventures (spoiler, there is a plot, of sorts). But mostly, this was a just a delightful ride with these crazy characters. 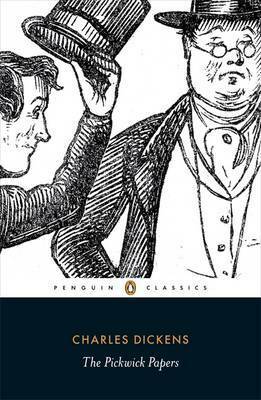 I came to love Mr. Pickwick with all my heart. 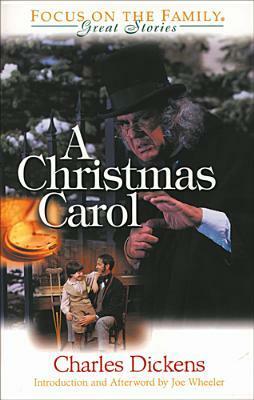 This ended up being a serendipitous December read, as there's a couple of wonderful Christmas stories/scenes (hints at his future Christmas Carol). 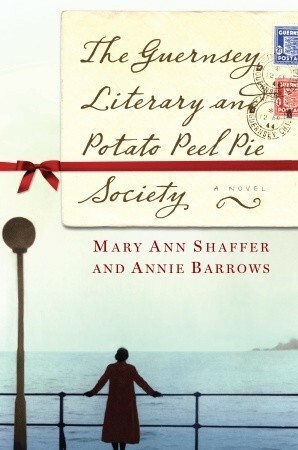 I've been wanting to read this one ever since I re-read Little Women last year, and it did not disappoint. It was charming and delightful! So guys, I love me some seasonal reading, but does it feel like finding good non-picture book Christmas fiction is really hard? Or is that just me? 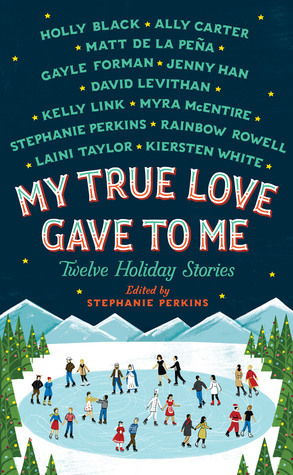 Anyway, I found this short story collection while browsing my library's Christmas suggestions, and recognized most of these author names (some big YA names here), so I decided to give it a whirl. And here's the thing. I genuinely enjoyed some of these stories, and I think if you are a hard-core fan of these authors, you'd probably enjoy them too. But it was not what I was looking for in a good Christmas read. It was all rather fluffy, all romance with Christmas just being incidental. But it was kind of mostly clean and still rather fun, so I did finish it. Guys, this ended up being a surprise favorite for me. 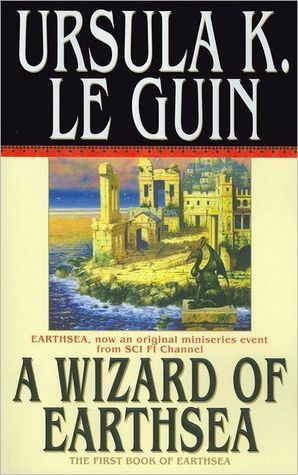 This is classic fantasy, but it's not for everyone, not even fans of fantasy. My husband read it after me, and he's a huge fantasy fan (LOTR, Brandon Sanderson, etc. ), but he didn't really like this one. It's prose is a bit more sparse and poetic. It has the feel of an ancient myth to me. I loved it, especially the magic system. I have grand plans of designing a 200-level English course and teaching this novel in it (I'll tell you more about it if that idea comes to pass). You guys! I found it! Everything I've been looking for in a great seasonal Christmas read! I mean, duh, right? There's a reason this is the classic it is. I cannot believe this is the first time I've actually read it! It's going to have to become a yearly tradition, it was just so perfect. 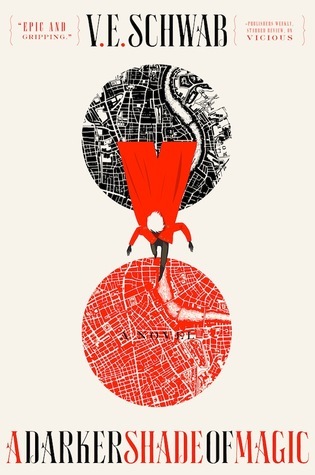 Considering how many times I've seen all the movie versions and how familiar I am with the story, I was surprised at just how much better the book really was. I cried (that Dickens, he's so manipulative). I loved it. My sister gifted me this trilogy for my birthday, but since it was a physical book instead of an audio book I had to wait patiently all semester for Christmas break before I could finally jump in. I've seen it getting some buzz lately, and I have to say, the first one is quite enjoyable. If you enjoy urban fantasy, this is a pretty fun story, and the first one works fairly well as a stand alone, which I kind of recommend leaving it at. 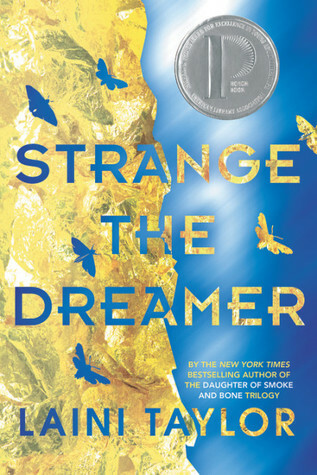 I read Taylor's Daughter of Smoke and Bone trilogy a few years ago and rather enjoyed it, and I was intrigued enough by the synopsis of this one to want to jump in. There were lots of things to love about this: the library/book love, the role of dreams (literal and figurative), the fantastic world. 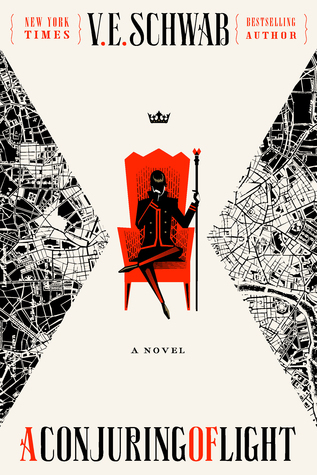 I'm not sure it's quite as good as the Daughter series, but I still really, really liked it. But, it ended on quite the cliffhanger, which means of course I have to read the next book (just as soon as my library gets the audio, which I hope it does soon). Seasonal reading in January feels like self-help to me, and this was my first self-help of the year. And I liked it, but can't say I loved it. Rhimes sounds like a gem of a person who would be really fun to know in real life, and her story of the changes she made in her life and the happiness she found were very inspiring... just not for me so much. Her life is just different than mine, and I didn't find her experience very applicable to my experience. But I did enjoy it and generally recommend it, especially if you follow her work at all (I, for one, have never seen a single episode of Grey's Anatomy, so I guess I'm not the target audience really anyway). Oh man, this one might deserve a post all it's own. I'm not even sure what inspired me to pick this book up, considering how it seems like exactly something that would not interest me in a million years. When it comes to money, I stick to things like budgeting, frugal living, and saving money as my areas of specialty. Investing? Stocks? Not really my thing (understatement). 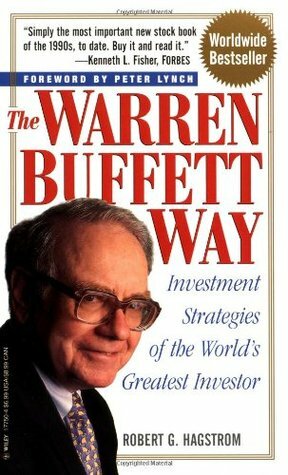 But reading this book somehow got me all fired up and inspired to go out and turn into some kind of investor wizard. They just managed to make it seem really doable. Or at least, really doable since I happen to be married to a corporate lawyer with a business degree who actually understands this stuff and could be really good at it. So I pressed the book into his hands and he got cautiously persuaded by it, and so we're going to maybe follow this program and see how it turns out. I have no clue what I'm doing, but I have all the faith in the world in my husband, so I'll let you know what happens (if anything happens, we're still very much in the just paper planning stage of things). Either way, we've decided this will be an interesting joint project, something to spend time doing together. Nothing says romance like investing in stocks together, am I right? 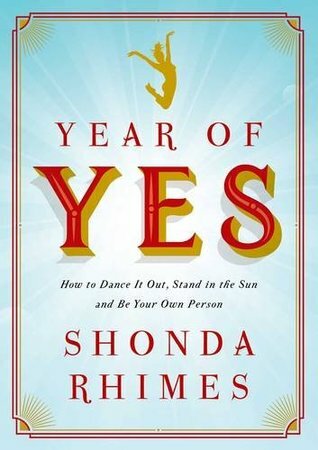 Continuing on with my January self-help theme, I picked up this little quick read and rather thoroughly enjoyed it. 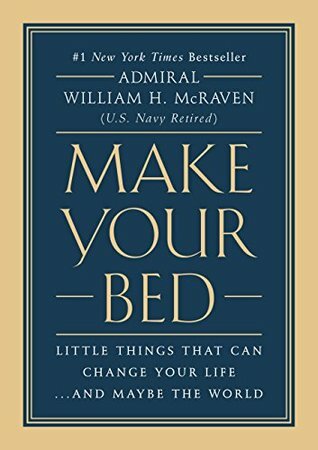 McRaven has a fascinating life story, and his little nuggets of wisdom really are fabulous. But the one thing this book really convinced me of is that... I could never be a Navy Seal. I just don't have that in me. And I kind of came away from this book feeling insecure about that. Like, Navy Seals are awesome, and I can never be that awesome. Is that okay? Anyway, I still highly recommend this book. Guys, this one was fantastic. 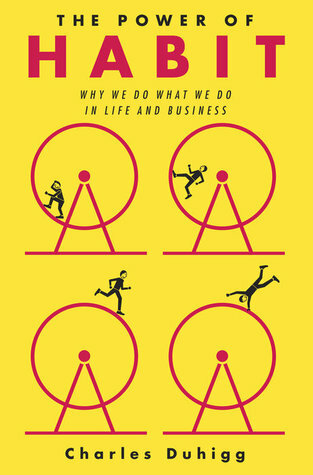 This one straddles the line between self-help and business-y pop psychology. He spends Part 1 talking about the science of personal habits and how to change bad habits (some really good stuff), and then he spends Part II talking about how businesses and companies try to exploit our habits (he talks about Febreeze, Target, other stuff that's really interesting). Then in Part III he just brings up some interesting ethical questions about habits (super interesting stories here). Anyway, I just really enjoyed this one. I would say if you're interested in starting new good habits, Gretchin Rubin's Better Than Before is probably a more helpful book, but if you're interested in breaking bad habits (and just learning some interesting trivia) then this is a better choice. Good stuff. And here we go, I finally finished the third book in that series I started way back over Christmas break. Yeah, this third one really lost me (can you tell by the fact that I finished like five other books before finishing this one?). Major plot holes, a lot of missed potential for the magic system and world-building, and just far too long. The first one is good, just stick with that one. A complete treat to listen to this. And then, of course, as soon as I finished I immediately had to go listen to the entire soundtrack of the musical and just bask in the brilliance of that adaptation. 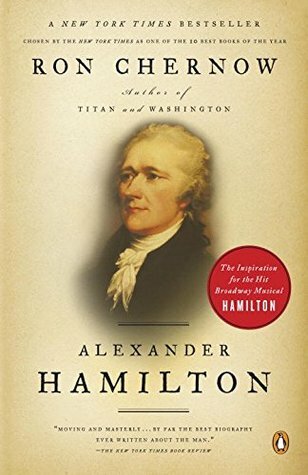 I don't know if I would've been team Hamilton had I been alive back then (and I love how Chernow doesn't sugar coat any of his mistakes or failures), but I can't help but be grateful for his life and his brilliant contributions to founding our country. Oh boy, look at me, reading investment books like I know something. Who am I even anymore? Okay, this is NOT the one to start with. 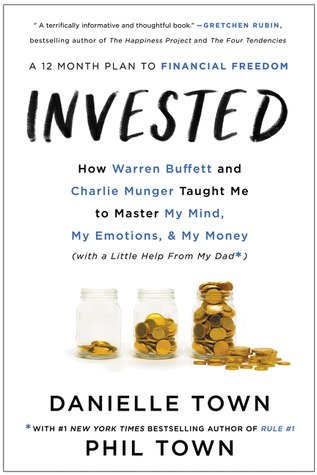 It totally feels like the target audience of this book is other experienced investors (which I most definitely am not), but I certainly learned quite a bit about Warren Buffet that I found fascinating, and, thanks to my crash course from Invested, even felt like I was hanging with all the jargon being thrown around. I sure hope I get to put this knowledge to good use. Guys! I really liked this one! 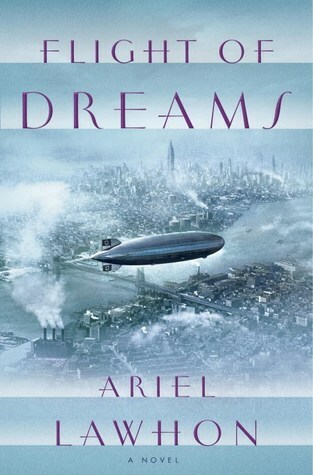 It's about the tragic explosion of the Hindenburg, and while lots of the story is historically accurate (like all the character names were real people on board), this is a fictionalized and super thrilling dramatic account of what possibly could've caused this tragedy. 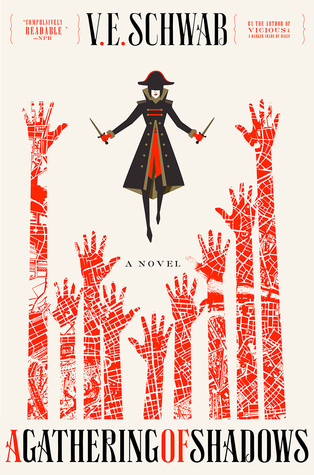 I was blown away by Lawhon's ability to craft such an exciting story (spies! intrigue! romance!) on the bones of actual historical detail. It was a lot of fun (even if the ending is tragic, but you already know that from the beginning) and I definitely recommend. Guys, you just have to read this. I mean, you have to read Beartown first (this is the follow up story), but Backman is just incredible for his ability to dissect human behavior. I just can't believe how good he is hat making such superbly flawed but lovable characters. 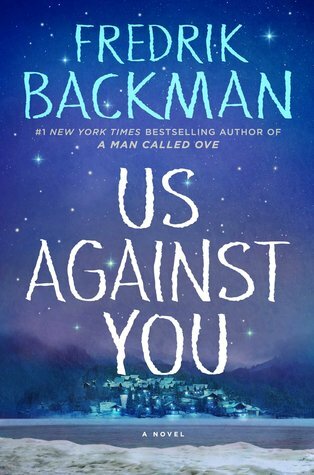 Also, just know, Backman is manipulative. You will feel all the feels. I cried buckets. Ugh. I've been wanting to re-read this one ever since watching the Netflix movie version (which, P.S., is really, really well done, even if the book is better). Ay, me! What a lovely book! Even better as a re-read! I didn't want it to end. I do so love this one! Well, look it that, we made it through all seventeen books! What a fabulous couple of months it's been, reading-wise. As per usual, have you read any of these? I'd love to hear your thoughts about them!